These are 7 amazing tricks every car owner should know about! Every car owner should know about these amazing tricks! If you own a car, you’ll know it comes with a ton of responsibilities. There are special taxes you need to pay and you also need to make sure your car is in a good enough condition to be out on the road. Check the tyre pressure, change the oil and also bring it to the garage for a general checkup regularly. These are all the basics of caring for a car, but what do you know about cleaning your car? Both the interior and the exterior could do with a good clean every now and then and that’s where we come in. 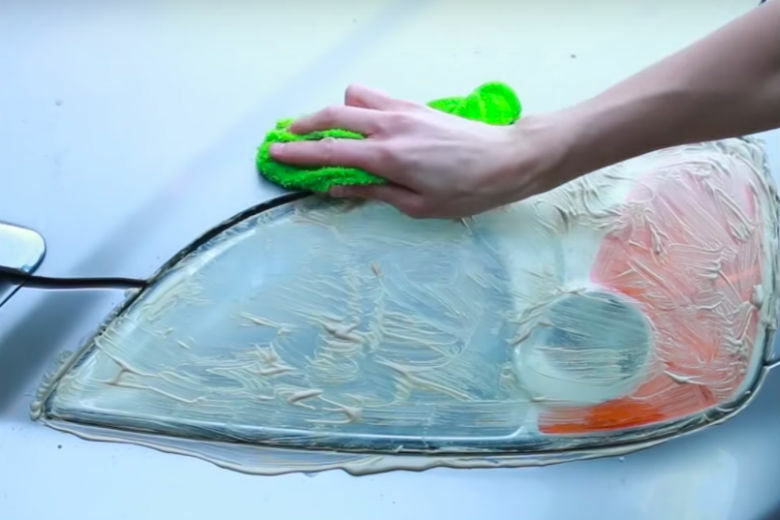 With these seven amazing tricks, your car will shine like it never did before! Did you know about these tricks already? After a certain amount of time, your headlights will probably start to look a little dull and dirty. Luckily, it’s easy to clean them with some whitening toothpaste. Just grab a tube and slather the toothpaste on the headlights, covering them entirely. Just use your fingertips or hands to do this. Let it sit for about 15 minutes. Grab an old toothbrush and start scrubbing the headlights. You’ll notice that the toothpaste turns brown because of all the grime that’s on the glass. After you’ve scrubbed every inch of the headlights, wipe away the toothpaste with a damp towel. You’ll see that your headlights are shining like never before. You can very easily make your own cleaner to clean the upholstery of your car. Get a spray bottle and a funnel at the ready. Fill the bottle with 120 ml vinegar, 240 ml club soda and 60 ml lemon juice. Shake the bottle and then spray some of the mixture onto the surface you want to clean. This DIY cleaner works great on fabric upholstery. Not only will it make the upholstery super clean, but it’ll also make your car smell amazing. Spray the mixture onto the upholstery and then use a hard-bristled brush to scrub it clean. Wipe away all of the excess dirt and filth with a damp cloth afterwards. This method also works great on mats.